You are here: Home / Wildlife / Butterflies / The Butterflies are Back! This summer, the butterflies have been noticeably absent. While I have seen some smaller butterflies, like these pearl crescents that were mating among the four o’clocks in my front garden, the larger beauties were just missing. It’s been a strange summer. The temperatures got high very early in spring and they really haven’t gone down. As I sit here and type this, the forecast for the next three days range from 97 to 99 with heat indices that are much higher. Ugh. As I was taking my two furbabies (Belle and Charlie) for one of their 16 walks this week, I started to see butterflies! I didn’t catch them all on film, but I did get this lovely Eastern tiger swallowtail as he fed on the Tithonia (Mexican sunflower). I’m still working on my video skills, but I think I did pretty well with this one! 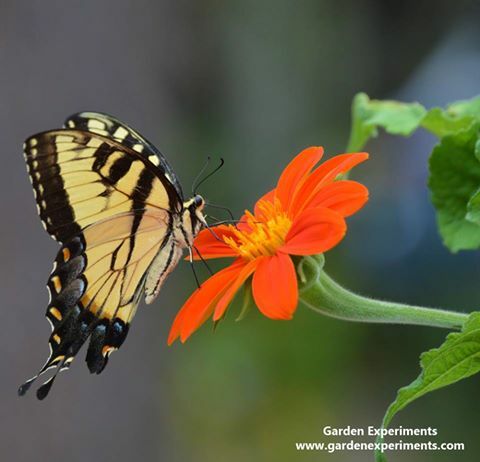 When I add plants to my garden, I like to pick ones that will provide food for butterflies, bees, and birds or be a host plant for caterpillars. Some of my favorites include salvias. The black and blue salvia is the clear winner when it comes to attracting hummingbirds. The butterflies seem to prefer the hot lips salvia and pineapple sage. Butterfly bush is another close contender when it comes to attracting butterflies. However, it isn’t native and it can be invasive in some areas. My favorites host plants are butterfly weeds or milk weeds and purple passionflower. See a more in-depth list of butterfly host and food plants. 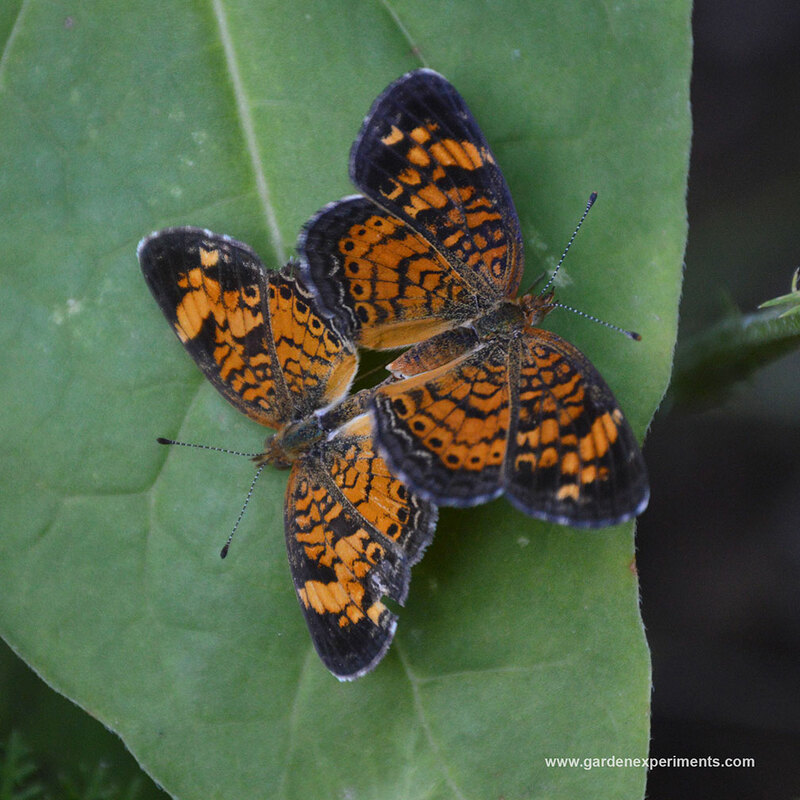 Check out the photos of the butterflies that were in my garden last year. This just a small bit of evidence that if you plant native plants that provide food for butterflies and caterpillars, then they will come.